Look nice! But the Dial is not a current one as I think there is no more 17 jewels written on the dial. hands except second one are from amphibian watch. 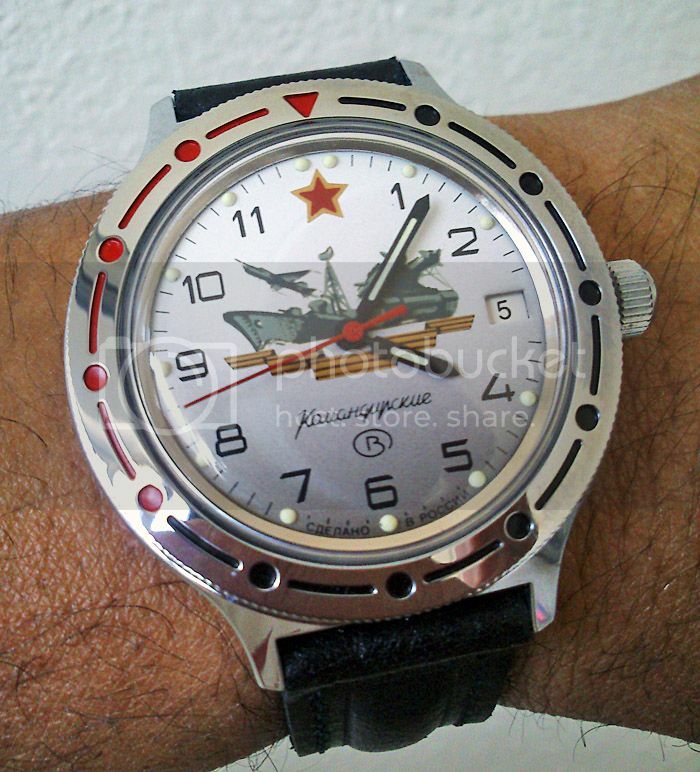 Second hand paint is not from Vostok. Old movement refurbished? Tiger_antiques is an artist: so he cannot guarantee the authenticity of his work. But it looks nice and it was not expensive. You paid $40 + $15 for this modern russian (ukrainian's way) komandirskie. So around the same price. Last edited by OCDood; June 1st, 2013 at 08:28. OCDood and tokareva like this. All these watches are very good looking, I am trying to decide which one to buy first lol. I have a question: The watches that meranom sells are brand new? I ask because I have seen a few posted here used and meranom carry the same model brand new according to the pictures posted! 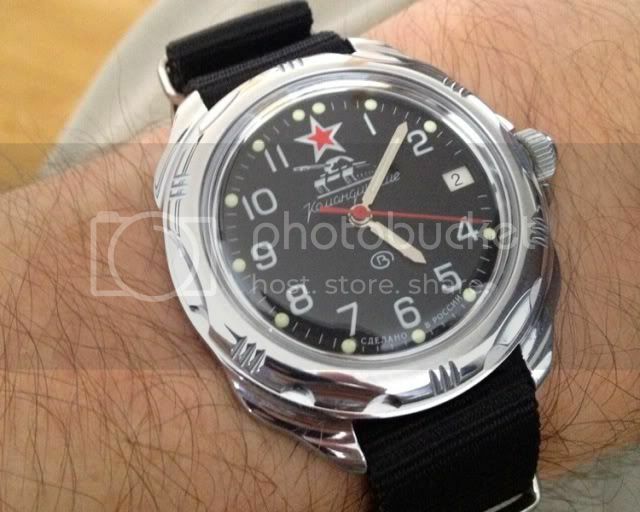 The pretty horrible Vostok rubber strap will need replacing, and I'll obtain a spare bezel to polish the chrome off of to spice up the appearance a bit. Took just 8 days from Zenitar to me here in Northern CA. A new personal best, which is sure to guarantee future purchases from yours truly. I think I'll need to get used to that SAM launch vehicle at 2:00. Kinda confusing to tell time at around 2:00 he he. Mine arrived this week. Both of them have the sloped edge that was discussed earlier in the thread. Last edited by OCDood; June 6th, 2013 at 07:46.